A classic of traditional decoration. 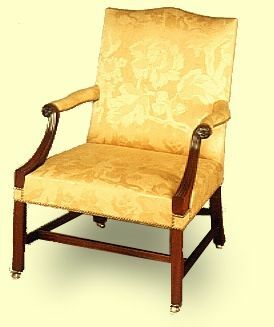 This open arm chair will stand out in any room setting. It cries out for a rich and important fabric for which it will serve as both frame and easel.